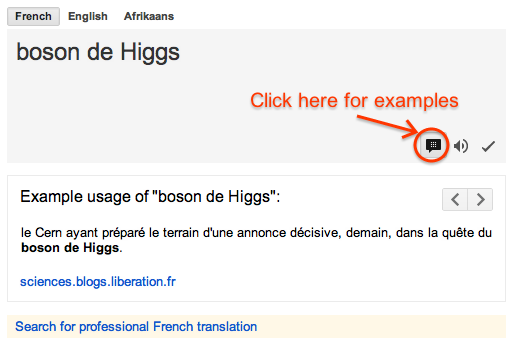 To access this feature, simply head to Google Translate and look for the new example sentence icons in the text boxes on the site. While it’s nice to see these words in context, though, traditional dictionaries typically assign multiple example sentences to every translation, depending on the word’s meaning in a given context. Google only provides one recent sentence, independent of all the different meanings of a given word. This new feature would likely be more useful if Google at least provided multiple sentences here so users could see how a word is being used in different contexts. For this, tools like Linguee currently offer a better solution, though Google promises that it will continue to “improve and enrich [its] corpus of example sentences.” Google also notes that it’s probably best to look at these example sentences in conjunction with its alternate translation feature and its dictionary results.